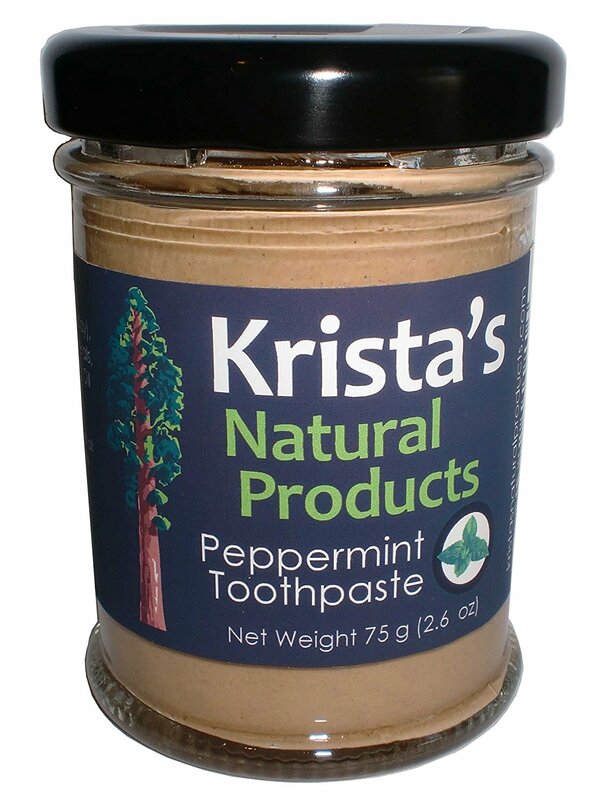 Krista’s Natural Products was born after years of testing and producing a clay-based toothpaste. Finally, the company managed to release a Peppermint Toothpaste. It was a 100% natural product, and people that seek for real natural product that does not contain any kind of additives, synthetical or natural will be pleased with this product. Later on, the company released two additional types of toothpaste with different essential oils. Personally, I would always choose a simple formula toothpaste like Krista’s Natural Toothpaste over any other that is in the tube. Tube toothpaste that uses some additives to keep the formula in a liquid state. 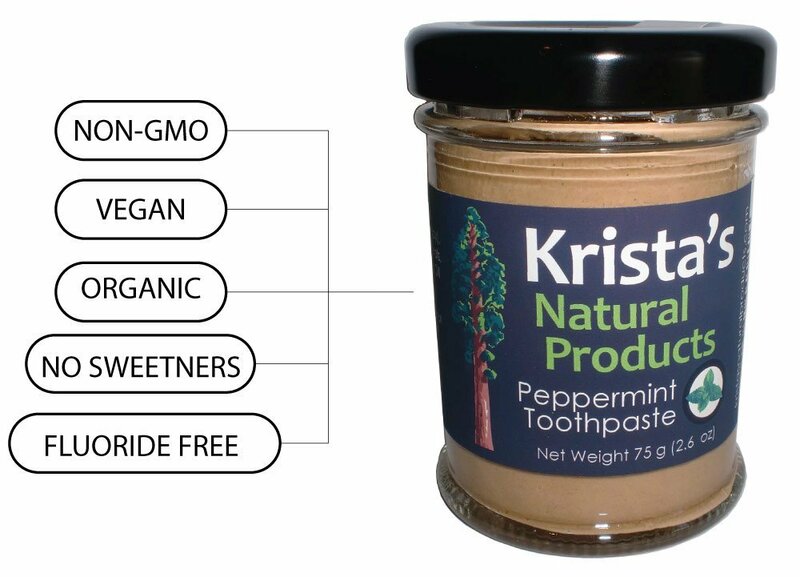 I always prefer 100% natural products and Krista’s Toothpaste is just that. The company really cares about what they put in their toothpaste. There is not a single controversial or questionable ingredient in this toothpaste. Even simple water is filtered by deionization and reverses osmosis. The water is clean, no fluoride in water, no chlorine or any other heavy metals you can find in the unfiltered water. Calcium Bentonite is a great ingredient that is used in teeth remineralization process. Krista’s use high-quality natural calcium bentonite that is derived from montmorillonite clay from Texas. Clay is not handled in any way. It is 100% natural clay. Clay is also an excellent abrasive ingredient which will clean stains on your teeth. Organic oils are used as teeth healing properties as well as flavor to the toothpaste. All oils are organic and grown in the United States of America. You can choose a toothpaste with Peppermint Oil, Spearmint Oil or Cinnamon Oil. These unusual ingredients that I have never seen before in the toothpaste are actually derived from the Great Salt Lake in Utah. The lake is extremely salty because water evaporates and all minerals and salts stay on the surrounding rocks. These liquid rocks have a low concentration of sodium. Krista’s Natural Toothpaste products deserve 10/10 rating because these are the purest toothpaste you can find on the market. I am delighted to see another 100% pure natural toothpaste with zero controversial ingredients on the market. And companies like Krista’s Natural Products deserve to be placed among the best natural products companies in the world. With customers support that will choose their product over any other controversial product or a natural toothpaste product that has some questionable ingredient on the list we vote for pure 100% organic and natural products. And who knows maybe in near future Krista’s will release other cosmetic natural products that will help keep your hair clean or skin, as we know that in cosmetics there are also many controversial products that use dangerous and unhealthy chemicals.